On October 22, 1922, with the Fall season in magnificent splendor, in the bustling little community of Greenville near the town of Gurdon, Arkansas began the extraordinary life of our beloved mother, grandmother, sister, aunt, friend, educator, mentor and humanitarian. Beatrice ("Beatty") was born to the late Reverend and Mrs. Isaiah Sam and Amanda Webster-Bragg. Beatrice was a very academically gifted young lady. She attended segregated schools at that time in Gurdon in a one-room school building in classes with her older siblings and their friends. She graduated from high school at the tender age of 16 in May 1939. During that time, the friendship and courtship which ultimately led to the union of the late Ellis Stafford and Beatrice began in 1934. Ellis was 13 years old and Beatrice was 12. According to Beatrice, she and Ellis "courted all their lives." Beatrice recalled that Ellis had invited her to go to a revival, since the church and the motion picture show were the only places they could go to socialize at that time. Besides, Ellis didn't have $.10 cents for the show, and desperate to find a place to meet his beloved friend, Ellis'only alternative was to meet Beatrice at church. Instead, Beatrice opted to go to the motion picture show with another young man. Well, not to be outdone, Ellis decided to even the score. He followed the unwitting couple to the picture show, took out his trusty bean shooter, loaded it, and shot at them both. The first shot hit Beatrice above the eye and she "belonged" to Ellis ever since. Ellis and Beatrice courted for the next six years. During that time Beatrice started college in the Fall of 1939 at what was then Arkansas AM&N College in Pine Bluff. After the first year of college, Beatrice was not able to continue the second year due to a lack of funds. Beatrice then started to work as a domestic worker in various Caucasians' homes in Gurdon. Beatrice earned initially $1.00 to $1.50, and later $2.00 per week, which sometimes included dinner. Ellis decided it was about time to ask Beatrice to marry him. Early one morning Ellis and his brother Carl went by Beatrice's parents' home to see her. Both of them were carrying axes because they were on their way to chop wood. Ellis, at that time, asked Beatrice to marry him. Beatrice told Ellis she would have an answer for him when he returned. Upon their return, (and still carrying the axes), Beatrice replied excitedly to Ellis, "yes!" Ellis and Beatrice were married on March 16, 1941 at the Bragg's home just north of Gurdon. Beatrice said her sister Serena stood with her at the last minute. Elegantly dressed, her maid of honor wore a red plaid dress with a velveteen collar and untied shoes, and Beatrice wore a simple gingham dress. It was not revealed if anyone stood with Ellis. Beatrice said traffic slowed, and some cars stopped in amazement to see the wedding take place. While Beatrice continued to work as a domestic worker, Gurdon was beginning to grow, and so was the Stafford family, to a total of six children. On April 14, 1954 Beatrice was hired by the Gurdon Hospital to cook, clean and do other tasks for $100.00 per month. Fifteen years after the 1954 Brown versus Topeka Board of Education "separate but equal education" case was ruled unconstitutional, Beatrice decided to return to college to attend what was then Henderson State Teachers College in Arkadelphia. Beatrice took correspondence courses, attended classes on Saturdays, and in the evening while continuing to work full time at the hospital. Later Beatrice would attend classes as a full- time student after Mrs. Annie Culp (the hospital administrator, Mrs. Irma Briscoe and Mrs. Jewel Charles (friends and co-workers) arranged a work schedule that would allow Beatrice to work and go to school. At that time, Beatrice and her daughter Gloria attended college together. They were the epitome of poor, struggling, college students. Beatrice said sometimes they would have just enough money to buy one hamburger or one order of fries to share between the two of them. 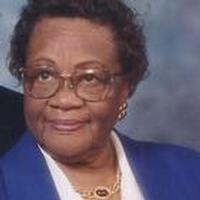 Beatrice received her Bachelor's Degree in Elementary Education from Henderson State University (HSU) in 1961, and soon began her career as an elementary school teacher at the segregated Bell High school. (Gurdon public schools were not integrated until 1970, 16 years after the Brown versus Board of Education case was decided). After completing her Master's Degree in Elementary Education from HSU in 1971, Beatrice started teaching at the elementary school in the newly desegregated Gurdon public school system. Beatrice had such a major impact on the local community; most adults'children in Gurdon were probably her students and colleagues. She enjoyed nothing more than seeing children excel under her guidance and instruction. Beatrice dedicated more than 30 years of her life to making sure children in her classes got off to the best start in school because she knew from personal experiences that education was the key to equal opportunity and prosperity in America. That is why her number one priority was to make sure her own children, grandchildren, nieces, nephews and thousands of other children she taught received the best education possible. One of the most memorable and proudest moments in Beatrice's career as an educator occurred after her retirement. In May 2000, the superintendent and board of education for the Gurdon School District inducted Beatrice into the district's Hall of Fame for educational excellence. Beatrice lived a life of service and dedication to God, her late husband and family, her students and community. She was a devoted life-long servant and member of Roanoke Baptist Church where she served as historian, musician, treasurer and was active in the Sunday school ministry. As a pianist, she played routinely at Roanoke, and at several other churches in Clark County who didn't have musicians. The love of music was an integral part of her life, and she definitely passed that talent and passion to many of her descendants. Beatrice was also actively involved in, and a member of various organizations including: state and local education associations, Arkansas Retired Teachers Associations, NAACP, volunteered on several candidates' campaigns, member of the Eastern Star, and worked at the polls on Election Day. Beatrice's living legacy has now been finally realized, and recorded for the edification of future generations. She has fought the good fight; she has finished her course; she has kept the faith, and completed her mission as God preordained it here on earth. It is now time for Beatrice to go on home to be with her God, and continue her everlasting courtship with her late husband Ellis Stafford as they walk around heaven together once again. In addition to her parents, Beatrice was preceded in death by the love of her life and husband of 67 years Ellis R. Stafford, her sister Mary Bragg, her four brothers David Bragg, Sr., Archie Bragg, Sr., Arthur Bragg, James Bragg, daughter Gloria Stafford-Whitmore, and two sons Douglas Stafford, and Milton Stafford. She is survived by her sister Serena (John) White of Flint MI, sister-in-law Essie Brown of Vacaville, CA, brother-in-law Carl Stafford of Texarkana, AR, and sons Michael (Gracie) Stafford of Little Rock, AR, Phillip (Jeannette) Stafford of Vacaville, CA, Harold (Velvia) Stafford of Camden, DE, 16 grandchildren, 32 great-grandchildren, three great-great-grandchildren, a host of nieces, nephews, cousins, and cherished friends. A viewing will be held on Friday, March 27, 2015 from 12:00 noon to 6:00 pm, and family visitation will be from 6:00 pm to 7:00 pm at Mitchell's Funeral Home, 1809 Caddo Street in Arkadelphia, AR. Funeral services will be held at 12:00 noon on Saturday, March 28th at Mt. Canaan Baptist Church, 410 South 5th in Gurdon, AR. Beatrice will be laid to rest beside her husband Ellis in the Greenville Cemetery under the direction of Mitchell Funeral Home. The family will receive guests at Mt. Canaan Baptist Church immediately following the services. IN lieu of flowers, the family suggests contributions be made to the Ellis and Beatrice Stafford Scholarship Fund that has been established at Henderson State University. Make checks payable to the Henderson State University Foundation, note in the memo section "Stafford Scholarship" and mail to: Henderson State University Foundation, HSU Box 7550, Arkadelphia, AR 71999-0001. All contributions are fully tax deductible. The inaugural scholarships will be awarded at Gurdon High School on May 7, 2015 to four graduating high school students planning to pursue a degree either in education, science, technology, engineering or math.